After months and years of speculation and rumors, James Bond 25 is finally happening with Daniel Craig returning as 007, and now a new report claims who MGM is eyeing to play the villain. While nothing has been confirmed yet, Helena Bonham Carter is said to be the front runner for the villain role, although many others think that Angelina Jolie is the top choice. Here's what an unidentified insider had to say about the potential casting. "Everyone thinks Angelina Jolie is going to get the part but bosses want Helena more. At the moment they are just finalising the cast." It was confirmed just a few weeks ago that Daniel Craig will in fact be back as James Bond, with Danny Boyle taking over the directorial duties for Sam Mendes, who directed the last two 007 movies, the global blockbuster Skyfall and the divisive Spectre. There was also a report from earlier last month that claimed Daniel Craig would be paid a whopping $25 million for starring in James Bond 25, which is believed by many to be his last Bond movie. It will be his fifth in total, following 2006's Casino Royale, 2008's Quantum of Solace, 2012's Skyfall and 2015's Spectre. It also hasn't been confirmed yet if any of Daniel Craig's co-stars will be returning yet. Naomie Harris, who has played Eve Moneypenny in all of Daniel Craig's James Bond movies, revealed in April that she isn't sure if her character will be back in Bond 25 or other future installments. There is also no indication yet if Ben Whishaw's Q will return, along with Andrew Scott's C or Ralph Fiennes' M, but hopefully we'll find out soon. This report also reveals that Boyle has met with Craig to discuss the story, with production reportedly slated to begin sometime this summer. While no exact production date has been given yet, if filming does start this summer, hopefully we will get more casting details soon. MGM has set a November 8, 2019 release date for Bond 25, where it's currently slated to go up against 20th Century Fox's Death on the Nile, a sequel to last year's Murder on the Orient Express. It will also face some stiff competition on both sides of its debut, opening a week after Warner Bros.' highly-anticipated sequel Wonder Woman 2 and a week before Warner Bros.' Margie Claus and Paramount's Sonic the Hedgehog movie. MGM has released all four of Daniel Craig's James Bond movies in November, so this untitled project will continue that tradition. Related: James Bond 25 Will Have 007 Driving an Electric Car? Helena Bonham Carter most recently voiced Margaret Conroy in Sgt. Stubby: An American Hero and she also played Princess Margaret on a three-episode arc on Netflix's The Crown. She'll next be seen on the big screen this weekend in the heist thriller Ocean's Eight, and she is also attached to voice LIttle Twin in the animated adventure The Land of Sometimes. 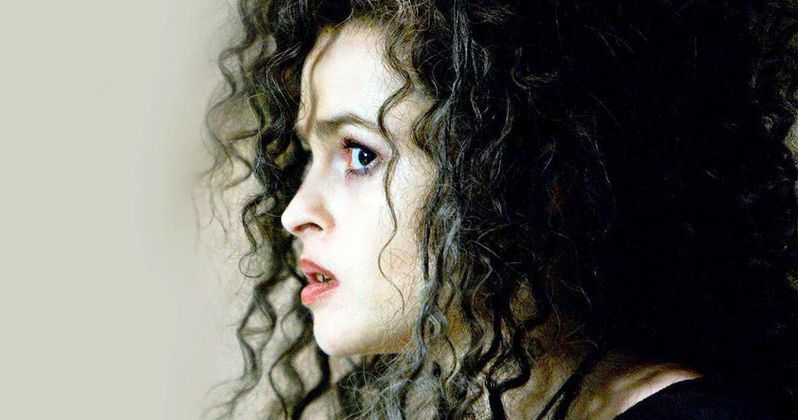 The Mirror broke the news on Helena Bonham Carter's potential casting.